...who's the fairest of them all? Not me today. I'm nearly at the point of shoving tissues up my nose, and that is NOT attractive. I got all snuggled into my comfy chair in front of the computer this morning, all set to get to work; I have my blanket my aunt made me when I went to college wrapped around me, the electric heater at my feet, the phone nearby so I don't have to unwrap and dart across the house if it rings, Pandora serenading me, and my store brand Dayquil just kicked in (I love when I can feel the exact moment it kicks in...doesn't happen often, but the times it does is fun). Everything seemed set for a warm and comfy sick day at home (if a sick day can be called comfy), and then I realized with horror as my husband drove down the driveway to work...he has my whole big bag of cough drops in the car with him. I guess I'm doing hot honey lemon tea all day today (ew). 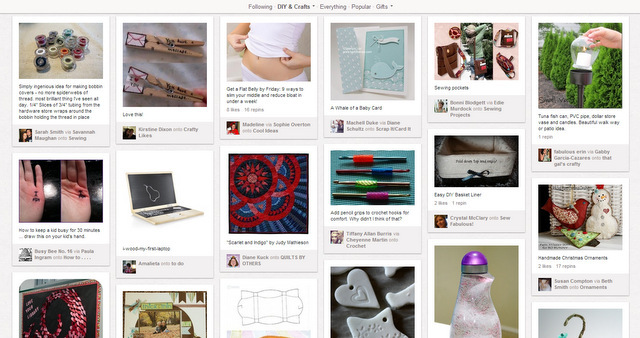 They just aren't as fun or exciting as all the craft/cooking/clothing/photography/home decor/etc pins...but oh well. One thing I can be glad about (I'm reading Pollyanna right now and I'm finding myself thinking up the "glad game" every now and then) with a sick day though, before he left my husband told me I'm not allowed to clean the kitchen or do laundry or anything like that...I'm to "take it easy." Now I can ignore my pile of dishes and full laundry hamper, and I won't feel too guilty when I sit and sew, or sort photos, or whatever I decide to do in-between the detox bath pin I think I'll test and the lovely nap with vapor rub towels on my chest/neck. Wow. That turned into a long intro for today's post. Don't you love what your brain comes up with when you're sick? I started into all of that because now that I have a day off and I'm banned from housework, I can work on the projects I've got going on for Valentines Day for Cameron. We don't do much for Valentines Day, it's just never been a huge "holiday" with us. We switch off who is in charge of Valentines Day each year. Last year Cameron made fondue for us for dinner. This year it's my turn and I'd tell you what I've got up my sleeve but Cameron usually reads my posts and I don't want to spoil the surprise. We'll see if I can get it all done and ready in time...I'm starting to run out of time. Jillian, our fantastic submitter for today, has also been working on Valentines Day projects for her sweetheart and ended up having to send one to us (I'm sure you'll see one or two of mine here after Valentines Day as well). While the original website shows instructions for doing the word art on a canvas, the caption on the pin on Pinterest said this: "Buy a mirror. Put letter stickers on it. Paint over the whole thing. Peel off stickers." 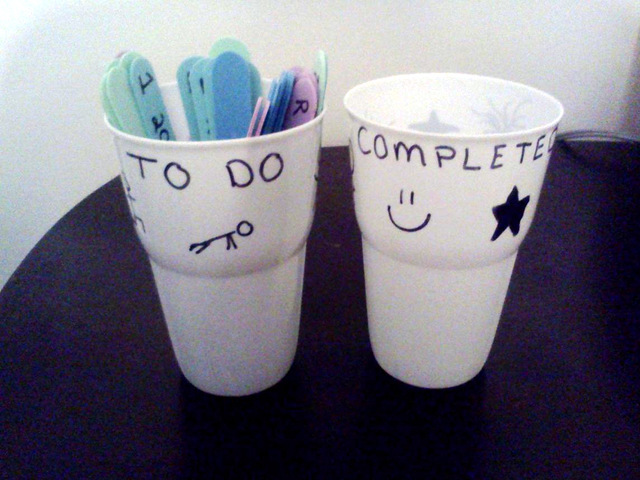 "I was trying to be creative and come up with a handmade but not tackily-girly Valentine's gift for my husband. We're planning a trip to Paris, so when I saw this Mirror Print trick, I assumed I could make it manly enough to be appreciated, but use French song lyrics on it to make it personal." "I bought the mirror at the craft store, all of the stickers, and I painstakingly made sure I spelled all the French words right (and put the accents in the right places) as I worked to swirl the words around the mirror. In the middle was a heart and '2013.' I used acrylic paint and blotted it on top (with a sponge) so I wasn't dragging the stickers around and getting paint up under them. I removed several stickers when the paint was still wet, but it didn't work well and it smeared a bit, so I decided to let it dry fully, worrying that when I tried to get the stickers off, the paint might pull up in big sheets and ruin it anyway. Well, I predicted the future." Trying to find ways to fix her project, Jillian turned to the internet. "When I search for this, some of the other posts mention using spray paint instead. Which is something that I did think of, but there was a lady sitting in the aisle in front of the spray paint so I just grabbed what was close. Oooops! If I were to try again with spray paint, I assume/hope my result would be more impressive. Now I need 3 new sheets of stickers too (those French use far too many "u"s and "x"s)." Spray paint will most likely improve this project and make it a little easier. 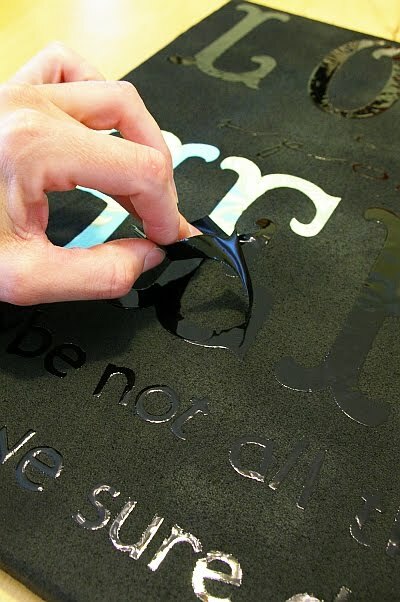 If you don't have spray paint, or don't like spray paint, you can use an exacto knife to help cut out the letters and peel them up without pulling up all the paint, but it'll be pretty tedious. 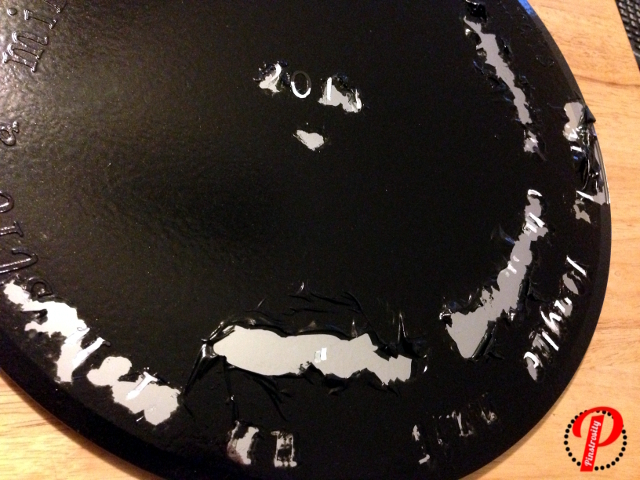 Whichever paint route you go though (but especially if you use acrylic paint), I'd use a sealer over the top. In my head, it seems like of lot of mirror "wasted" under all that paint, but I do like the idea of using a mirror. Now I haven't tried this at all, but I just had an idea...but I'm not completely sure how to make it work just right. It would be neat to use glass etching cream to etch the words into the mirror, and then have the rest of the mirror just be...well, a mirror. My first thought was to put the letter stickers down, spray paint over it, peel the stickers off, spread the etching cream where the letters stickers were, remove the cream, clean the paint off the glass and voila. But that sounds like a lot of work...and getting spray paint off the mirror would be a pain in the tush. Anyone without a sick brain see what I'm getting at and have an easier method? Today all creativity to write completely escapes me! So today I give you a post about my favorite Pinterest Trends as of currently...I know it might seem lame, but there are just days where writers block gets the best of me. My apologies, hopefully I can inspire you for our Pinstrosiversary Challenge which you can read all about in the link above! This post is also mostly stuff that you can recycle out of things you already have around, or that require very little to no supplies for you to buy. 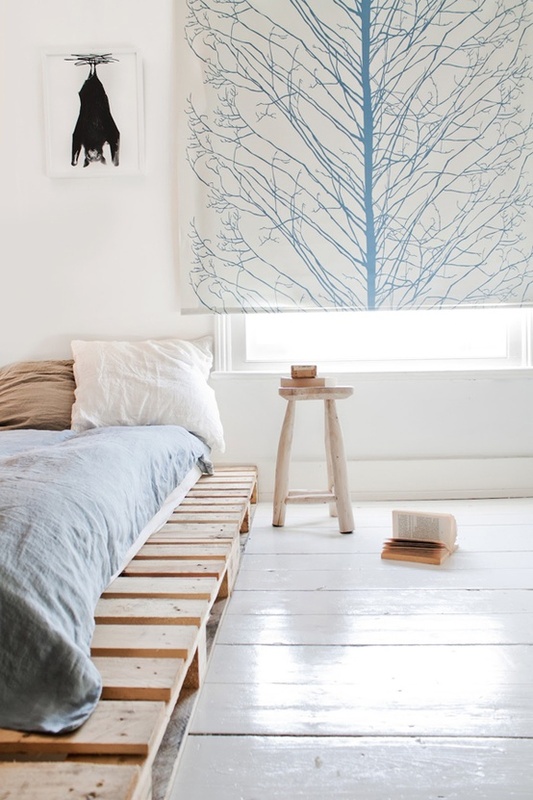 I love this because being a Environmental Sustainability Major, lately it's all I think about, so this is a great post to think about what you can craft with things you already have laying around. Which we also talked about in this post. 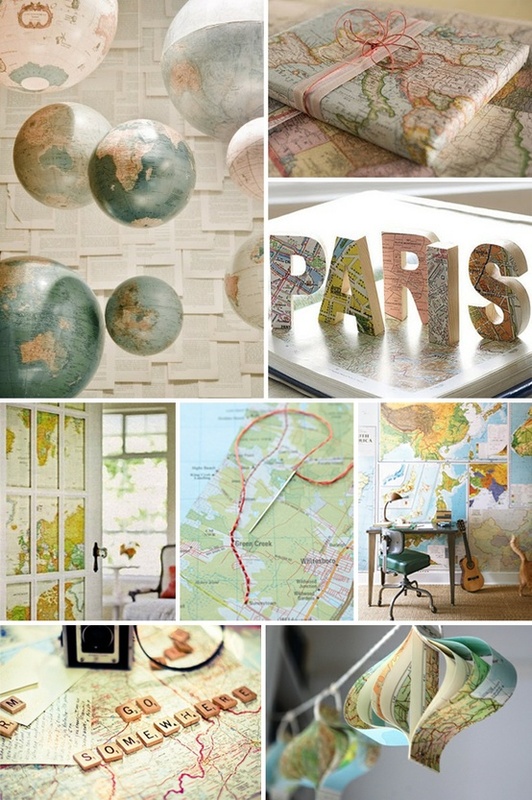 My house is COVERED in maps, globes, anything that resembles the aforementioned objects. 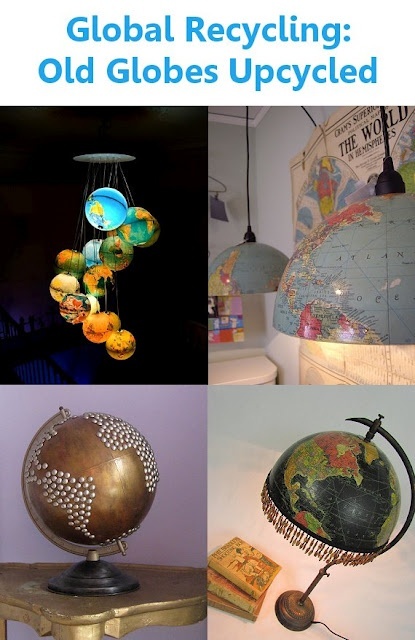 I LOVE them, currently I have four globes just in my living room, which seems like a lot, but I make it work no worries. They are not only cheap but are easy to find, and then they aren't just thrown away. The one above gets installed in my house next week, I'm stoked! Pictures will be coming soon! 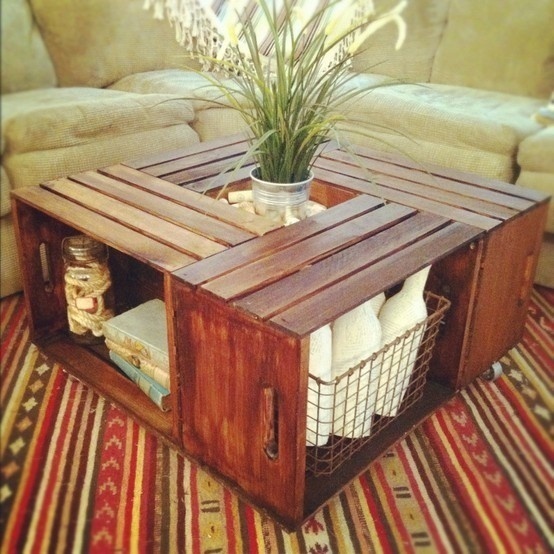 More Furniture out of upcycled wood, this time wood crates. 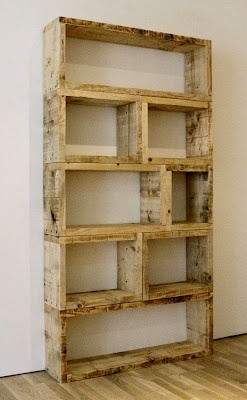 I actually had this one (above) in my house before I ever saw it on Pinterest, score! I used to work at a steakhouse and they got their corn in these type of crates, I asked my boss if I could take the empty crates home,which confused her..."You want the garbage?! To decorate your house?!" Hey, one woman's trash is another woman's treasure! And now they are in my living room! Free stuff rocks! Corks are another recent popular trend... just like Marquette talks about here! 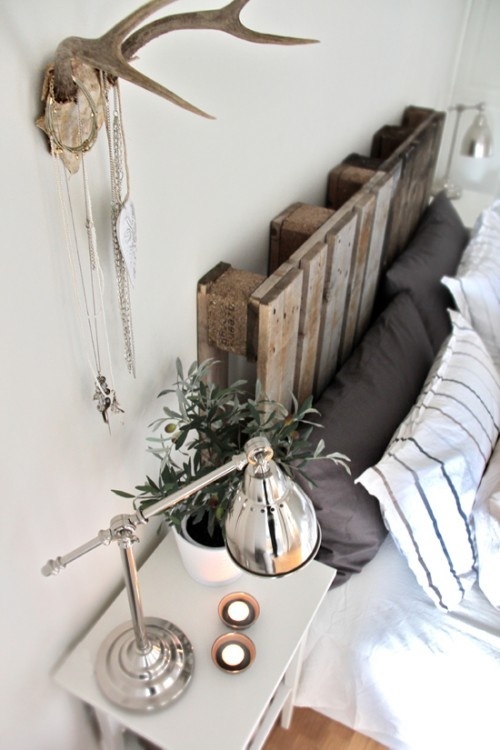 I know this one (above) is with wood, but at first I thought it was corks,and I kind of love that idea! I am going to do this one soon too! 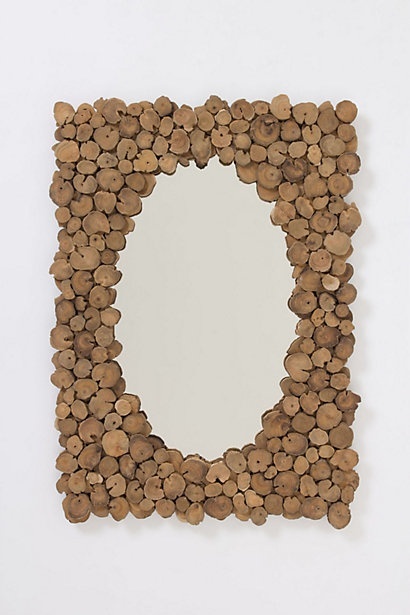 This one is originally $300 or so bucks from my other lover Anthropologie but with corks, which I can get here at the antique store for a gallon baggie for $3 I can do it for MUCH cheaper, especially since I would cut the corks into slices. So is this something you guys like?! 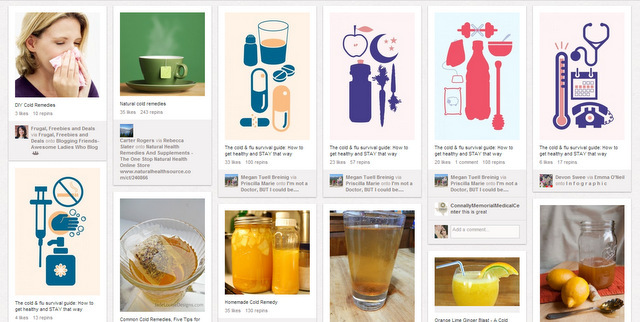 Or is this just more of the same stuff you see on Pinterest...let us know! We love your feedback! Have you taken one of these pins and used it for inspiration like I have?! 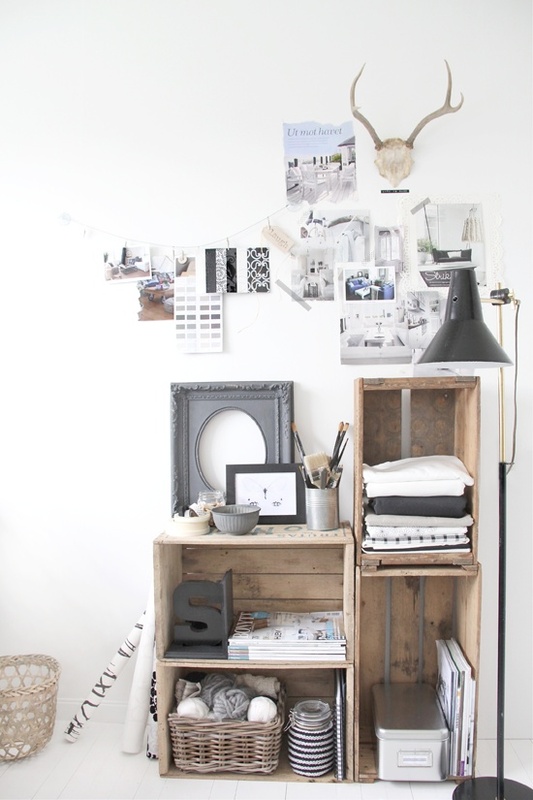 I LOVE Pinterest as a starting point, I see maybe one idea I like the feel of and then let my brain take off from there! 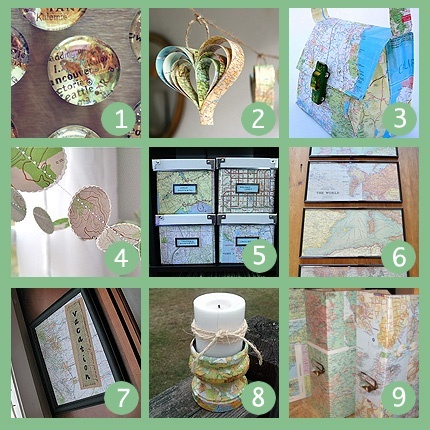 Before you know it my house is covered in maps,pallets, peacocks, nautical themes, and glass bottles ( I don't have kids yet which makes this idea feasible for now) and all of it I either got for free, at thrift stores or at garage sales. I love it! I hope you all had a great Wednesday Pinstrosipeeps! Today was crazy for me which is why I am posting so late, but I should have one up Friday morning no problem! 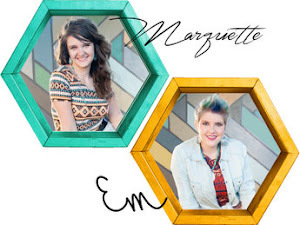 Don't forget to watch for Marquette's post tomorrow! Hi, I'm Serena. 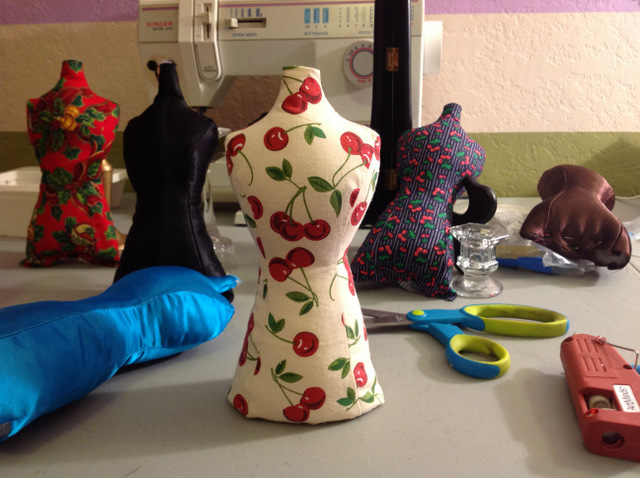 I am a housewife in San Diego and craftaholic. I like to find things in stores, online, or out and about and try to recreate them, just because I can. I want to say to sell them but I either hate them after or love them and hoard them (my precious's). But here is a lovely like item I have made to sell at the craft fairs this year. 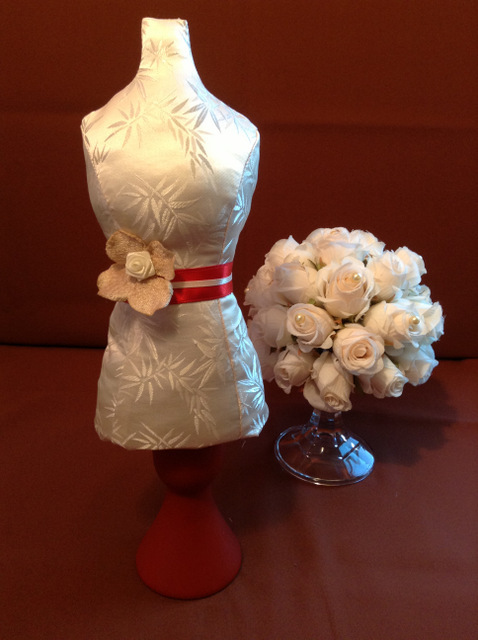 Here is the original pin, http://www.thediydish.com/2011/10/season-4-how-to-make-a-dress-form-mannequin-pin-cushion/. 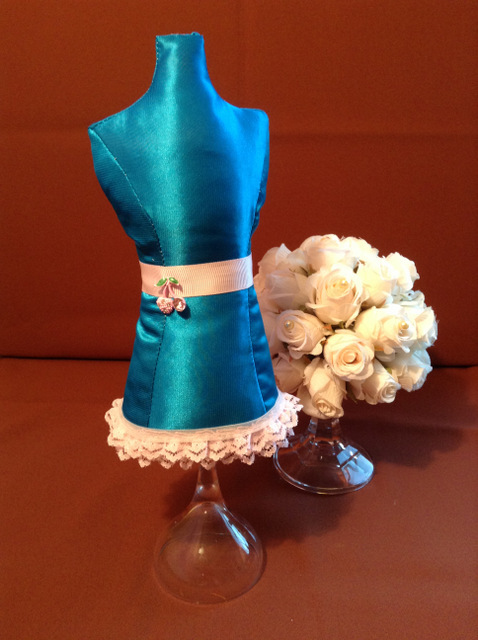 It is a DIY cloth mannequin jewelry holder/pin cushion. I think mine turned out rather well. I look forward to making many and hopefully selling some, if I can pry my hands off them. The original pin has a great tutorial, and I followed it to the letter. These are super easy and can be used for all kinds of parties, even as a takeaway. 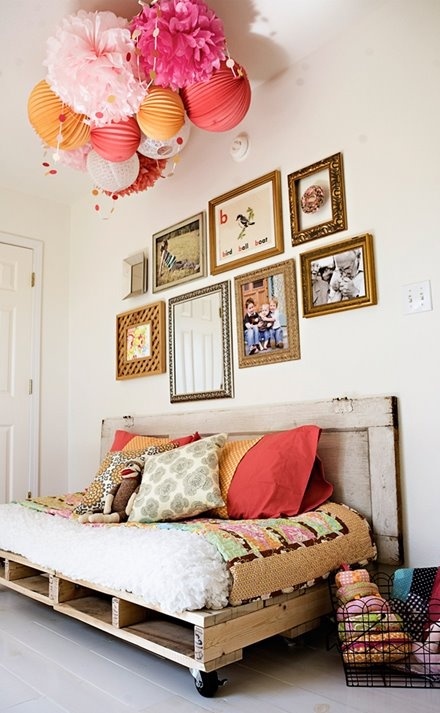 Make them in advance and have a girls night, either with kids or grown adults to stuff and decorate. I have had this pinned for 6 months now. 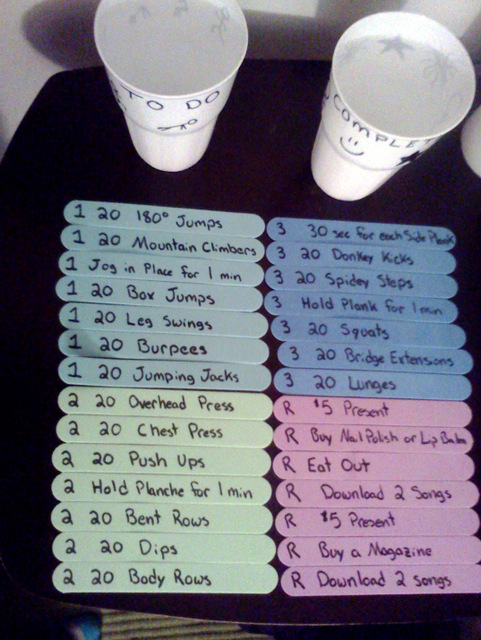 Even though it would be easy to complete and motivate me to get in shape, never did it. I didn't have popsicle sticks and the pin didn't have instructions. So thank you Pinstrosiversary Challenge, I finally did it. I picked up cups and foam popsicle sticks from the dollar store; $2 to complete the project! Then, I used work out suggestions from this blog to make my list: http://www.nerdfitness.com/blog/ I picked things that I can break into sets and work my way up to the total number. When I can do all 20 reps at once, there are variations of each exercise to make it harder. So while I will be starting with 4 sets of 5 knee push-ups, maybe one day I will be doing 20 one-handed push-ups. Every morning I will pick a number 1 (get the blood flowing), a number 2 (work the arms) and a number 3 (abs/legs). When all the blue/green sticks are in the completed cup I get a purple reward stick. I’ll let you know in a month how it’s going! Is there anyone out there who doesn't like cookies? Okay, that one person that raised your hand...you, there in the back...really? There's not a single cookie you like? There has to be one. For me...if it says cookie, I like it. Well...as long as it's not crunchy...then I like it. But give me a glass of milk for the crunchy cookies and I'm all set to go. 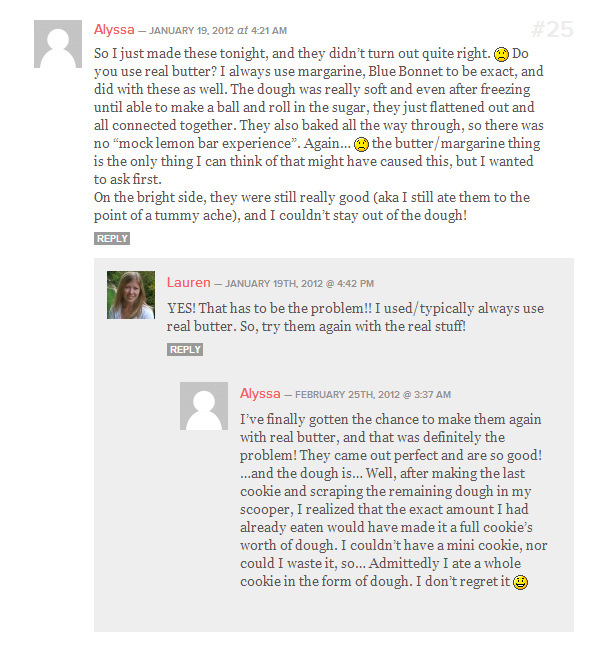 I love finding new yummy cookie recipes, it makes me excited. We love cookies so much in fact that we don't hardly ever make popcorn for movies...we make a bowl of cookie dough and eat half of that and bake the other half into cookies. Mmmmm. (Yes, I'm well aware that we could get sick from raw dough, but I've got 25+ years of successful dough eating under my belt, I'm not too worried...it's worth the risk to me). But they tasted oh so yummy. Most of the time when I try something I found on Pinterest, I try to move the original pin to my "Pin There, Done That" board, and I give a little blurb about whether or not we liked it, and if it worked. Here's what I said about these cookies: "These are so dang good. So light and yummy. I'm sitting here eating them right now. Ours look different, but they taste great." This was pre-Pinstrosity days, so I didn't even think about taking a picture. There weren't pretty, and they didn't resemble the original cookies by any means, but they did taste good. So with that story...I was excited when we received an email from Ruby, who also tried these cookies out, and, just like ours, they didn't turn out quite like the original pin either. Ruby explained that the adventure didn't start off real strong as they had trouble with the butter. "We don't have a microwave in our new house, so to soften the butter for creaming in the first stage I put the bowl in a sink of warm water. It sorta melted more than softened, and refused to be 'light and fluffy', rather sad and a bit puddly." She forged on ahead though, being sure to follow the instructions as carefully and closely as she could. She got the dough all mixed up, but her concoction was less doughy and more...goopy. She said, "It got to the end, and the mixture was fairly wet, not so much like cookie dough should be. My mum came in and said that it looked like it needed more flour, but me being quite stubborn I insisted that I'd followed the recipe and that they'd be fine! 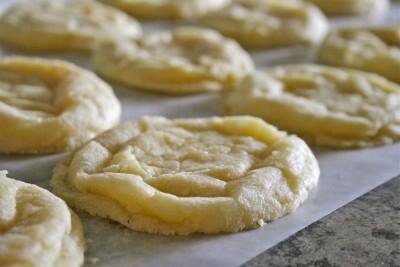 So voila, my crepe type biscuits which spread out completely." "There are only a couple left though, because they're delicious despite looking like they've been sat on by an elephant!" We don't have a photo of how our cookies turned out...but they did look pretty close to what Ruby had there in her photo. Since these were just for eating at home, I wasn't too worried about how they looked, I was more worried about how they tasted and they were awesome. I'd love to take these to a party or deliver goodies or something sometime, so I went back through the comments to see if I could gather any great tips on what went wrong and what to do differently. I'm pretty sure the butter was the deal with ours (and maybe Ruby's). Real butter is my nemesis. It's either frozen solid, or a melted puddle. I can't ever get it room temperature. I've even sat and played on the computer for half and hour with a wrapped stick of butter under my arm to try and warm it up and it just doesn't (hey...we all do weird things when we're in the comfort of our own homes)! So I put it in the microwave and zap it for 4.3 seconds and it's a boiling puddle of burnt butter. So I use margarine a lot. I know, real butter is better to bake with usually, but we aren't speaking to each other right now. It sounds like Ruby had similar issues with getting the butter just right. 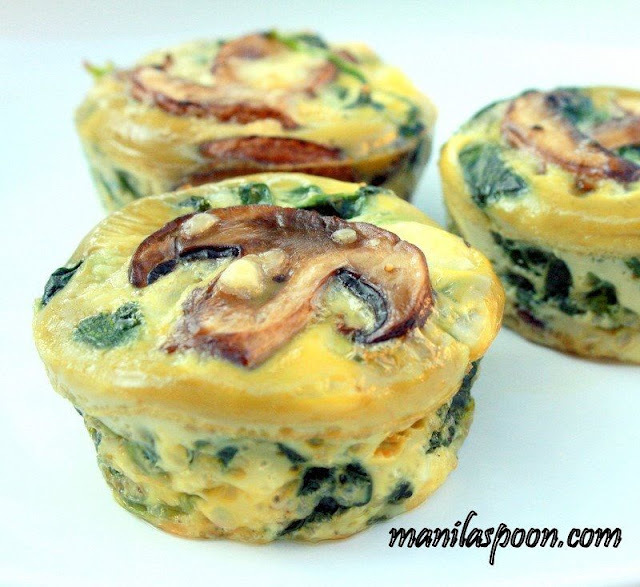 When I made these I used margarine, and that was probably my biggest downfall with this, as I found out in the comments. It's actually a little funny that Ruby and I had trouble with the cookies spreading too much, because most of the people who commented with troubles had the opposite problem (theirs wouldn't flatten at all). Ruby and I are just awesome like that. We're forming a club. Okay, maybe it's just an imaginary club, but it's a cool one. So I'm thinking the key here to pretty cookies (along with the awesome taste it already has) is to have your butter "just right"...too melted and it doesn't work, too frozen and it doesn't blend well. Too fake and it just doesn't work. Does anyone else have butter issues? I'm sure I'm not the only one. But if so, that's okay...everyone has to have a food nemesis of some sort, right? I think next time I try to make these, I'll plan way ahead (I never plan ahead with cookies...planning even 5 hours in advance is planning way ahead...we're just spontaneous cookie people) and leave the real butter out on the counter for a day before trying to mix these up. We'll see if that works. I'm also learning to do test batches (just baking 3-4 cookies before putting in a whole pan) so I can see if I need to try adding flour, changing the temperature, singing to my cranky oven, or anything like that. It does take an extra 6-14 minutes (depending on cookie cooking times), but I'm finding it to be well worth the time. 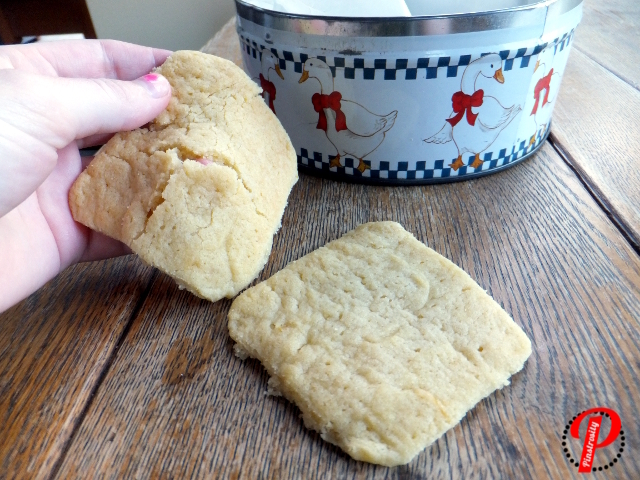 I'm ending up with fewer wasted ingredients, fewer goofy batches, and more happy cookies! So give these a whirl, they really are tasty tasty tasty! Need some extra motivation to actually do all those awesome pins you have been saving away for months on your boards? Check out The Pinstrosiversary Challenge. You do projects (recipes, crafts, cleaning, organization, etc), link up your results, and you get entered in the drawing for some fun prizes. The more pins you try, the more entries you get in the drawing. I like this plan, don't you? As promised earlier, here is today's Pinstrosity. But this isn't just any normal Pinstrosity...you get a tutorial as well. Well...sorta. You'll see. 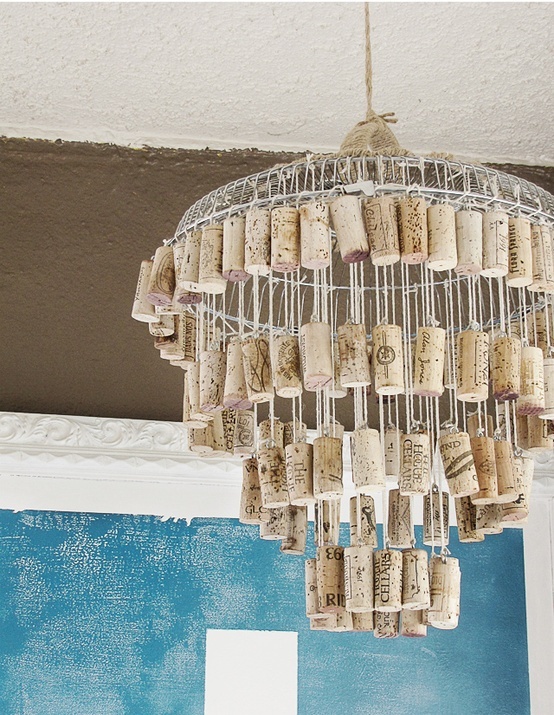 So corks are all the rage right now. Cork boards, cork birdhouses, cork trivets, cork earring holders (I even made one of those for a bridal shower once), but especially big right now are the cork monograms. Kristen found one on Pinterest that she wanted to try out and had some issues with it. 1. Pull up the photo you want to find the source for. 2. Right click on the photo. Click "Copy Image URL". 3. 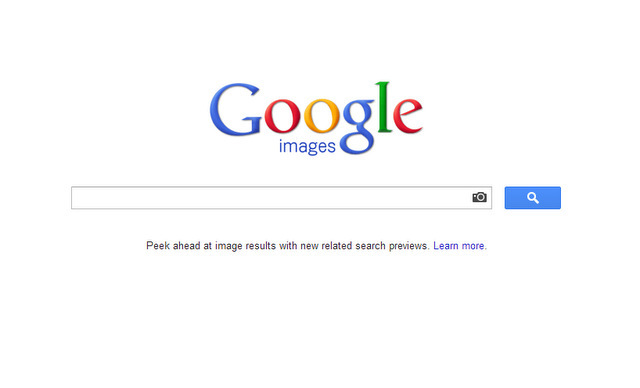 Open up Google Images (I have it pinned to my toolbar). 4. You see that camera icon in the search bar? Click on it. 5. 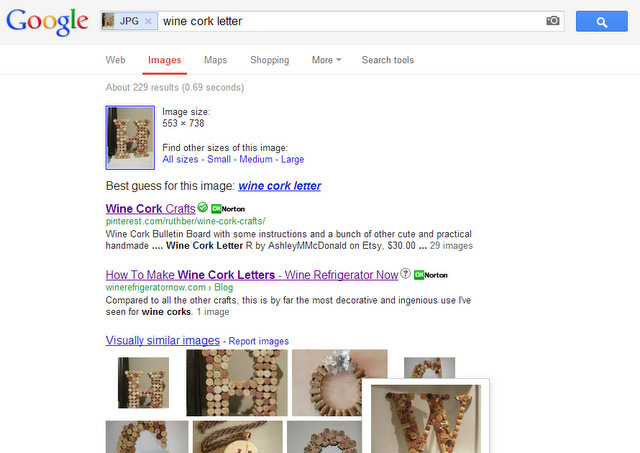 Right click in the search bar and select paste (or just ctrl+v in the search bar). 7. You can click on the sites it brings up where it thinks the photo may have originated from, or you can click "All sizes" up there by the top photo. This brings up a new page with all the instances of that photo online, and usually the first photo on the list is the original. Now...this doesn't work 100% of the time, but it does pretty good. 1. In two separate windows (not tabs...tabs won't work), open Google Images, and the photo you are trying to find the source for. Have them open side by side. 2. Drag and drop the photo you want to find onto the search bar. So, that's what I did to find the link to the photo that Kristen had pinned. Hope that helps someone out there. Kristen took a look at her linkless photo and decided, "No problemo this is easy-peasy!" Oh how these crafts taunt us sometimes. She continues her story: "I started arranging the corks and even got a thumbs up on the 1st draft from the hubby! So jazzed! Then I started to think about how I was going to glue each individual cork together and still have it keep this awesome and completely symmetrical shape. Insert awake baby here. Coincidentally, here is where the project started to nose dive. I started gluing my heart out in between cries for hugs and cheerios. Lesson #1 Hot Glue and the actual cork corks do not mix. They do not hold AT ALL. The plastic corks did ok, but the overall shape wasn't doing well so I took it apart. So after nap #2 started I re-configured the letter onto a piece of cardboard, traced around it so I could glue the corks together AND to the cardboard for strength, took all the corks off (again...) found my industrial strength glue aaaaaand............... Quit. Folded, threw in the towel, flat gave up. Rather than potentially waste years of good wine drinking evidence, I stopped. There was no way this project would hold together on the wall. I have seen other variations where they used a wooden letter from a craft store, that would be better for a more consistent shape. 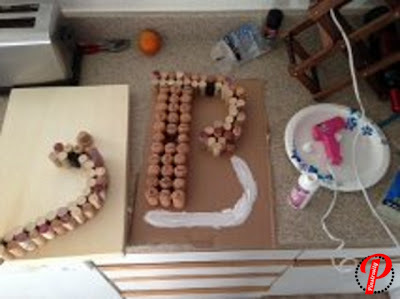 We live 2 hrs away from the nearest craft tore, so maybe I will look into a wooden letter for next time." It's so frustrating to see the finished product in your head and not be able to get there. I decided to try this one out to see what I could come up with. I still had a bag of corks (which I found at our awesome Antique Mall) left over from making the cork earring holder for my cousin, and I've needed something to do with them. This was perfect. I pulled them out and got to work. I read through the instructions on the page I found and set to making my awesome monogram. Only there were a few bumps in the road. I'll show you what I did and how I finally ended up with the finished monogram. I save cardboard like crazy. It comes in so handy when crafting. This made step one easy: Find a piece of cardboard and draw the letter/symbol you want on it. Done. From there I arranged the corks over the top of my M. I was picky with the corks I used. I wanted them to all be the same height and I didn't want any of the red stained sides to show. After all the corks are arranged, start gluing them one by one. I know Kristen had trouble with the hot glue not sticking to the corks, but I thought I'd try what the instructions said first and go from there...so I used hot glue. Seemed to work just fine...at first. Keep gluing the corks in place, one by one. I got my corks all glued together and let them dry for 15 or so minutes and then figured I could move the monogram just long enough to hold it against the wall to see what it looked like. It crumbled. Over a year ago I saw this in the craft aisle and saw it was on sale and thought I could come up with some cool project for it. Well...I haven't come up with anything yet...so it was still sitting in my craft drawer. I thought I could make it work for backing for the corks. So I took out the center part, mixed three of my paints, and painted it turquoise/muted robin's egg/no-clue-what-color-that-is. I almost just glued the monogram straight to the painted board, but thought I should take a step back and see if I liked it first. I then ran a thick line of hot glue all along the back of the monogram and gently pushed the wire into the glue-stream. After it stuck, I went back with the glue gun and spread more glue along the sides of the wire, securing it more firmly to the corks. And it worked! I could then hang it on the wall without it crumbling! I even found a cork with 2006 printed on it...the year Cameron and I got married! I love happy accidents like that. So there it is, by our entryway display (which isn't all that beautiful, I know...but I'm happy with it). If you read out last post, you might be wondering why we have 3 umbrellas when we live where it doesn't rain. I like umbrellas. And I used them for photography props once upon a time. For anyone interested, instructions to make your own watercolor portrait like the one we have hanging can be found at: http://growcreative.blogspot.com/2012/09/easy-watercolor-portrait-tutorial.html. It truly is an easy project, even if you aren't a painter at all. It took more work than I anticipated at first, but it wasn't too bad. I think had I done a thicker letter/arrangement, it would have held together a little better, but I didn't want a chunky letter. What methods do you use? Anyone have a better glue to suggest? I saw this on Pinterest and I had all of the ingredients on hand already and so I decided to try it out. 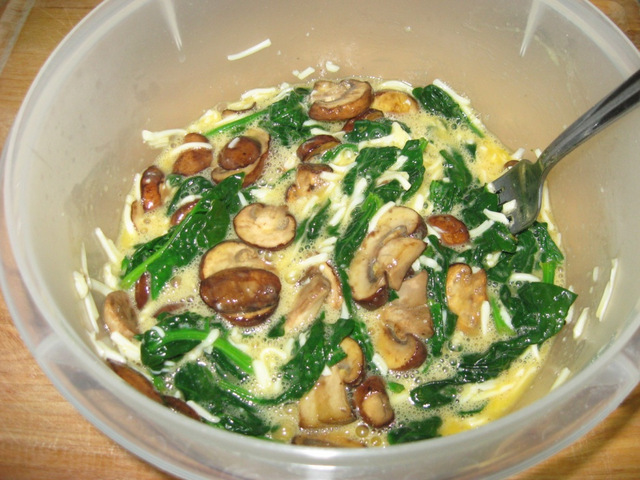 The original recipe didn't specify which size pan to use, but the comments suggested a 9x9 square pan. These were very easy to make and came together very quickly. I pulled the pan out after 20 min, but they weren't done yet. They ended up taking 35-40 minutes to bake. 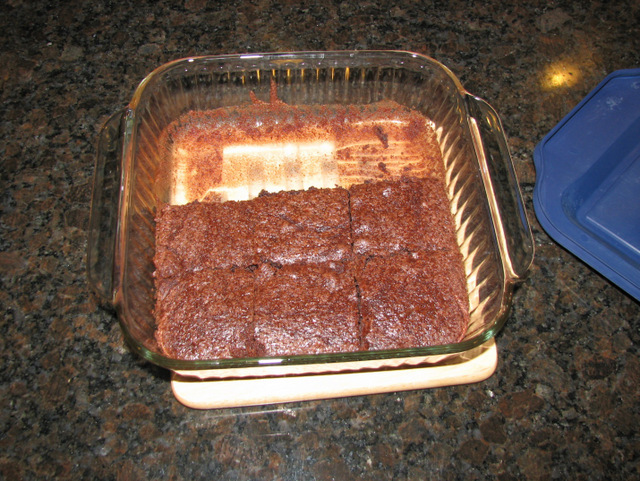 They tasted great – just like Betty Crocker! This mostly went according to plan. I chose mozzarella cheese and skipped the optional heavy cream. I felt fine until it came to wilting the spinach. I am a novice cook, and was worried when my package of spinach was only 8 oz. instead of the 10 called for. Then I dumped it all in my pan and freaked out. I had a giant pile of leaves falling all over the place, including dangerously close to the flames. I grabbed half of them and dumped them on the cupcake tin, then calmed down a little when I saw how much the remaining half was shrinking. However, it didn’t shrink as much as I thought it should have. I added the wilted leaves to the rest of the ingredients, and it looked like the picture from the website (supposedly showing all 10 oz.). So I just left it that way and spooned it into the tin. The result: These are fine. 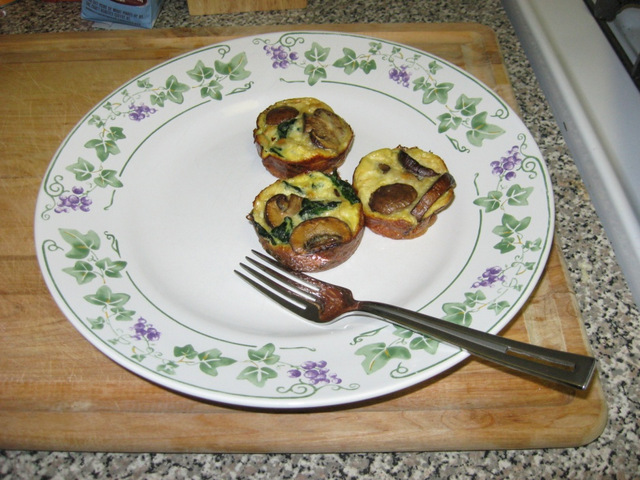 They turned out the way they were supposed to, despite the spinach dilemma. I will probably eat them all, but I’m not sure I’d make these again. I feel like they need something, maybe some spices… or make them with little pieces of sausage inside. Anyway, I’m considering them a win. Pinstrosity Is Now On Instagram!